The traditional Easter animal in Germany is the Easter Bunny. In which country is this role held by the Easter Chick? Correct. And since chicks are yellow, Easter decorations in this country are yellow, too. To mark the occasion, Swedes decorate their homes with birch twigs covered in feathers. No. In this predominantly Hindu country, only 2.5 percent of the population is Christian. 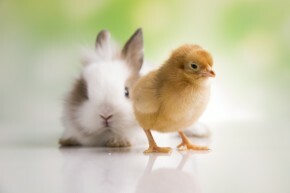 Although Indians observe Good Friday as a day of rest and Easter Sunday as an official holiday, neither Easter eggs nor the Easter Bunny belong to Indian tradition. Sorry, wrong answer. Australians believe in the Easter Bilby – the bilby is an endangered marsupial indigenous to their country. When does the Easter Season begin and end? Correct. The Easter Season starts on Easter Sunday, or the day of Christ’s resurrection, and ends on Pentecost Sunday. As such, Eastertide – as the season is also known – officially lasts 50 days in total. Sorry, wrong answer. 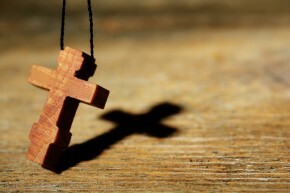 Good Friday commemorates the day of Jesus Christ’s death. Christians celebrate his resurrection on Easter Sunday. No. On Holy Thursday, Christ invited his apostles to the Last Supper, knowing that one of them would betray him. Easter Monday commemorates his resurrection. New York’s annual Easter parade is a massive spectacle. When did this tradition begin, and what purpose does it serve? This tradition began in the mid-19th century. New York residents dress up for the occasion, creating an unofficial fashion show. This tradition began in the 1950s – every year, fans reenact the movie musical Easter Parade. This tradition began in the 1970s – the parade is an annual LGBT rights protest. Correct! After church services had finished, Manhattan’s high society would stream up and down 5th Avenue to put their Easter attire on display. 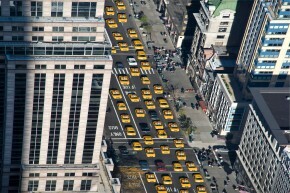 Less-affluent New Yorkers would come to watch. Unfortunately, that’s incorrect. The movie, directed by Charles Walters and starring Fred Astaire and Judy Garland, is actually a tribute to the parade. No. You’re getting this parade confused with the Christopher Street Day Parade, which is held in memory of the violently suppressed Stonewall Riots. The Stonewall Riots, which took place on June 28, 1969, constituted the first large-scale LGBT uprising in the US. 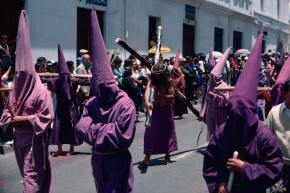 In which country is Semana Santa celebrated? Correct. In Spain, the Holy Week is marked by a number of elaborate processions symbolizing Christ’s ordeal. The city of Seville and the region of Andalusia play host to some of the biggest Semana Santa festivals. No – although there are many processions and festivals held throughout this country during Holy Week. No. In the Philippines, Holy Week celebrations take on a punitive tone – scores of believers flagellate themselves with whips or even let themselves be nailed to crosses to atone for their sins. 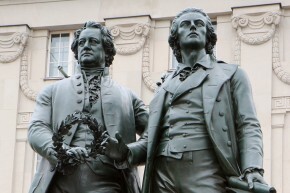 The Easter Walk’ is one of Johann Wolfgang von Goethe’s best-known poems. Which of his plays is it found in? Correct! This poem is included in the scene ‘Before the Gate,’ as Faust and his assistant Wagner are walking through the city on Easter Sunday, describing medieval estate-based society. No. This work, which secured Goethe’s fame in both Germany and abroad, is actually an epistolary novel. Published in 1774, it tells the story of Werther’s tragic love for a married woman. Wrong. This romantic drama, which centers on a middle-class girl and her young aristocratic lover, was penned by Friedrich Schiller. A few eggs short of a basket! It seems like you aren’t very familiar with this holiday. There’s nothing wrong with that, but it wouldn’t hurt to build up your general knowledge a bit more. Why don’t you try giving this quiz another go! You’ve landed right in the middle. You’re probably better acquainted with secular and cultural events than with religious ones – or perhaps it’s the other way around. Either way, we have good news: You can fill in the gaps in your knowledge by taking this quiz a second time. We’re impressed! You definitely aren’t suffering from winter fatigue – you’re incredibly sharp when it comes to Easter trivia. You really know your stuff in terms of both church and cultural history. We bet you’ll really flourish when spring starts on 22 March.